For welding tube and pipe, there are a myriad of accessories that can be used to purge the backside of the weld—so that the weld on the inside of the tube or pipe is just as strong and contaminant free as the outside. Depending on your application, or your personal preference, you can choose from reusable accessories that allow you to create a purge dam for your weld (Purge plugs, Purge baffles, Inflatable purge bladders) or you may need to utilize water soluble solutions such as Purge Film or Purge paper in sheets and rolls, or pre-cut purge paper. Aluminum weld backing tape is a good solution for holding your structure in place to facilitate tack welding or to cap off the tubing. 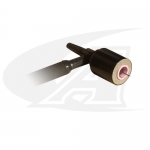 Fiber insulated aluminum weld tape is designed to attach to the backside of the weld joint, protecting the weld zone from oxygen without a back purge. 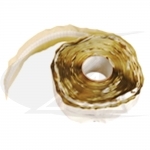 EZ Zone™ weld tape wraps around the weld joint, which is then purged with shield gas. Operators simply peel back a section of tape exposing the joint to begin welding. Shield gas flows out of the exposed area ensuring no atmosphere enters the joint. This engineered aluminum welding tape includes two halogen-free adhesive areas on the outside edges, and an adhesive-free center “Zone”. Some of the most innovative accessories we’ve come across are the trail shields and purging cups for TIG and PAW applications. These shield gas accessories fit right onto your TIG or PAW torch. Because they are engineered, and manufactured—and not individually hand- fashioned, weld variables are minimized and a consistent and coherent umbrella of shield gas can be maintained over the weld from beginning to end from the auxiliary shields that are up to 2-in. in diameter to the trailing shields that promote coverage during cooling. These cups and trailing shields fit onto industry standard TIG and PAW torches. Another option is the WeldHugger Shield Gas Kit. Wafer thing, these accessories can be shaped for your welding application. And, for the At-Home PRO, there are less expensive options such as the Monster Nozzle Series Flooding Cups. 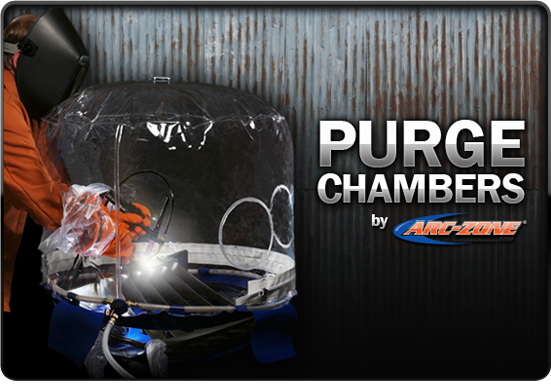 If you need to make absolutely sure that your weld environment is free of oxygen as well as contaminants–consider a flexible purge chamber. To make sure whichever purge system you’re utilizing is doing its job, you can use a monitor to ensure an oxygen free weld zone.